Discussion in 'Ham Radio Discussions' started by K2II, Nov 7, 2018. 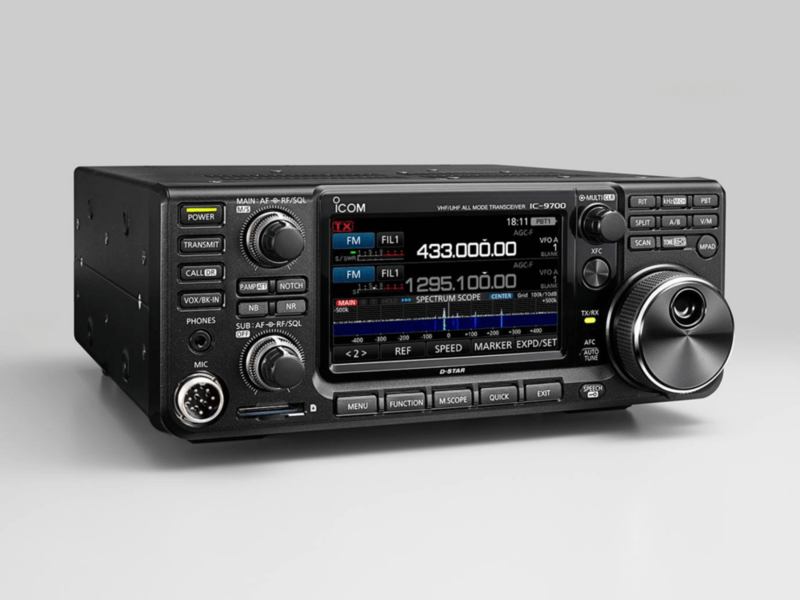 The new anticipated Icom IC-9700 VHF/UHF all mode xcvr is now listed on a Great Britain ham radio store website. For what it is worth, the Icom dealer states the 9700 will be available in February 2019 at a price of £1,795.95. Yeah its being fairly widely advertised over here now. www.hamradio.co.uk has it on their site too. Time will tell. Its ironic that finally someone introduces a VHF/UHF only rig at the very time when part/all of our 23cm allocation is in danger of being taken off us because the commecrial interest in that spectrum area has spiked. Its ironic that finally someone introduces a VHF/UHF only rig at the very time when part/all of our 23cm allocation is in danger of being taken off us because the commecrial interest in that spectrum area has spiked. IIRC, the 23cm band has always been a secondary allocation for amateur use, both in the US and in the UK. We already have to work around primary users there. We already have to work around primary users there. True, but now the commercials seem to be making a play for exclusive use to all of it. Hmmm. Sounds like you have some MPs to write/call. I think this is a worldwide thing, not just EU. Satellite comms need more space, and they pay large annual fees for spectrum. We don't, so its a no-brainer for Govt really. The RSGB is on the case over here, but we'll have to wait & see how it pans out. That could be problematic in years to come. Makes me wonder if at some point radios with that band ability will be declared illegal unless the software gets flashed to make it unavailable.